Download as PDF or view on original site. In celebration of its 40th anniversary, the Japan-U.S. Friendship Commission is having conversations with a number of grantees. “I consider myself one of the luckiest people on earth for being a part of the program and reflect on it constantly,” remarks contemporary artist Karen LaMonte. 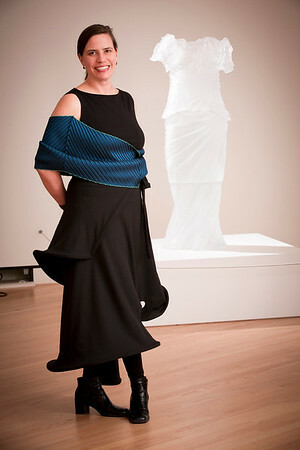 She is known for her innovative work creating glass sculptures and spent seven months in Japan on the U.S.-Japan Creative Artists Exchange Fellowship. The Fellowship is funded by the Japan-U.S. Friendship Commission and administered in partnership with the National Endowment for the Arts. LaMonte has used clothing as a metaphor for identity and exploring the human in absentia throughout her career. As a Fellow living in Kyoto, she researched the Kimono – its production, form, function, and social significance. Focusing on the Kimono was a new evolution in LaMonte’s artwork. She had spent a decade of her career focusing on dress styles characteristic of Western society until she turned her attention to Japan and to the Kimono, the clothing that most embodies that culture. The impact of the Fellowship experience on LaMonte’s work has been profound. 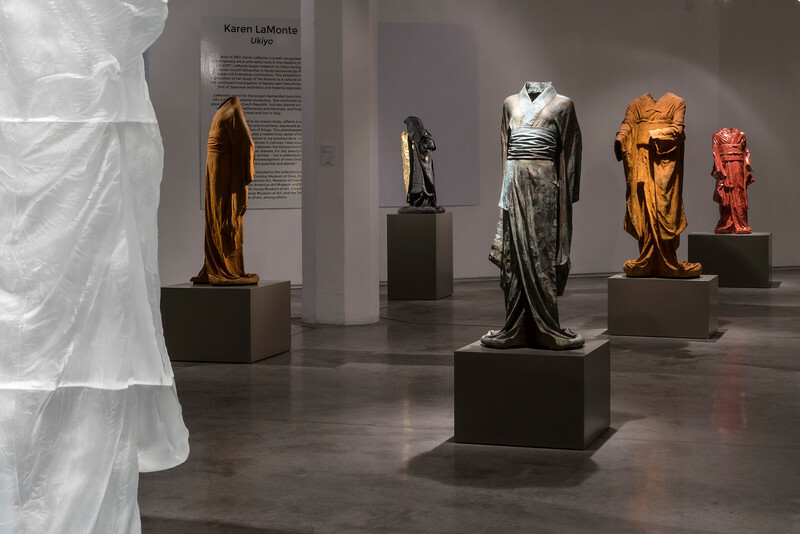 Upon her return from Japan she spent the next three and a half years producing a series of Kimono sculptures cast in glass, bronze, or ceramic. “I am still and will be forever a different artist because of the experiences I had on this Fellowship. I have a completely fresh and expanded vision of materiality which informs every project I undertake,” she remarks. Whereas for past castings LaMonte worked with live models, for the Kimono series she built a mannequin based on biometric data of the Japanese population as compiled by NASA. She selected the measurements for the 50th percentile of 40-year-old Japanese woman in the year 2000 in 1g (gravitational force). “My mannequin is the exact average Japanese female – the exact everywoman or no-woman,” she emphasizes. The shorter sleeve length tells us the Kimono belongs to a married woman, and her posture is an ojigi bow from the waist. It is a quintessential gesture of respect and humble greeting in Japan. In 2013 LaMonte published a 168-page book about her work. Karen LaMonte Floating World is a collection of her works in bronze, ceramic, glass and rusted iron. It includes essays by LaMonte and Laura Addison, the Curator of Contemporary Art at the New Mexico Museum of Art.